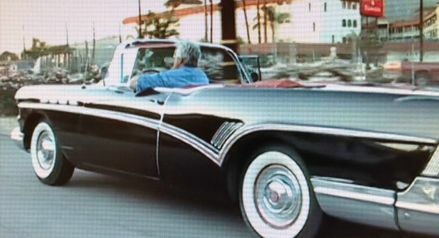 Do you recognize this car? Maybe not in its present state, but it is one of the most famous cars in movie history. 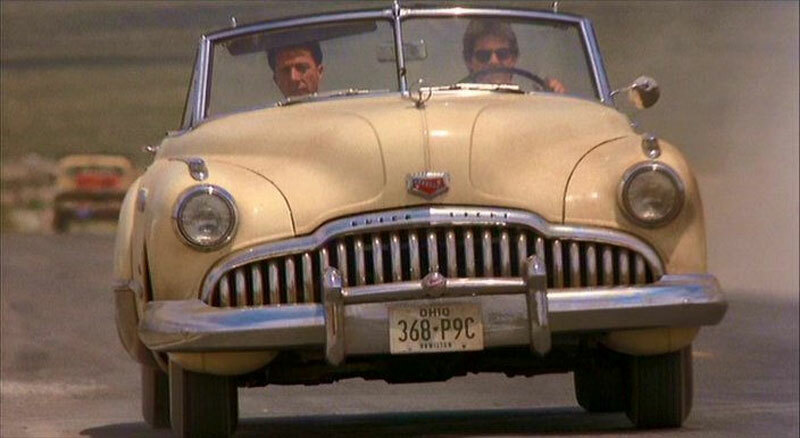 We’re talking about a 1949 Buick Roadmaster that played a central role in the 1988 film “Rain Man,” starring Tom Cruise and Dustin Hoffman. 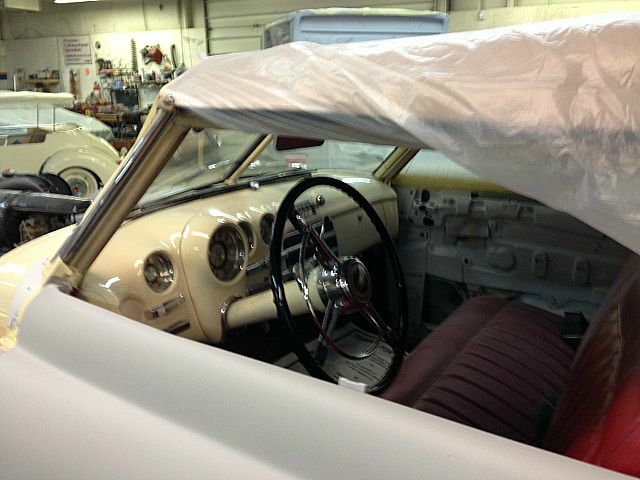 The now 65 year old convertible is undergoing a thorough restoration right here in Connecticut, at the shop owned by the host of “Chasing Classic Cars” on the Velocity Channel. Wayne Carini is the consummate car buff, and I love watching him hunt down rare cars in the most unlikely places. His shop is in Portland, about a 30 minute drive from Hartford. The Rain Man Roadmaster was sold at auction not long ago for about $170,000, even thought it needed some work. The new owner called in Wayne for the refurbishing. When Wayne’s staff is done, this iconic cruiser will look just like it did in the showroom back when Harry Truman was president. 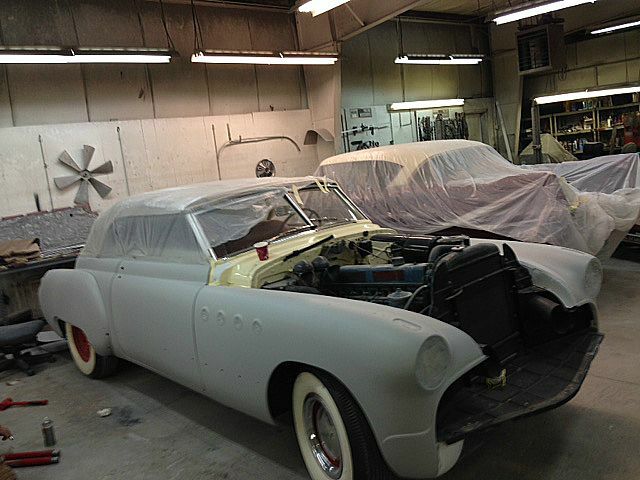 I feel honored that my Buick convertible was under the same roof as its Hollywood brethren. I brought my 1965 Buick Electra 225 to Wayne for him to sell to someone who was chasing a classic “deuce and a quarter.” After ten years of fun in the sun, it was time to let someone else take over our baby, that my wife Kara named “Beulah.” That Electra carried lots of people to lots of places, including the beach, pumpkin picking, parades and Sonic. 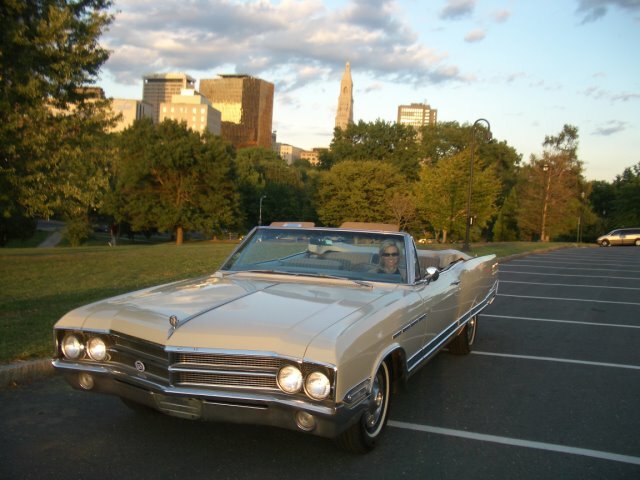 It was featured on the cover of “B” Buick Magazine in 2008. You might be wondering, “hey, Buick and convertible don’t exactly seem to go together.” Au contraire. 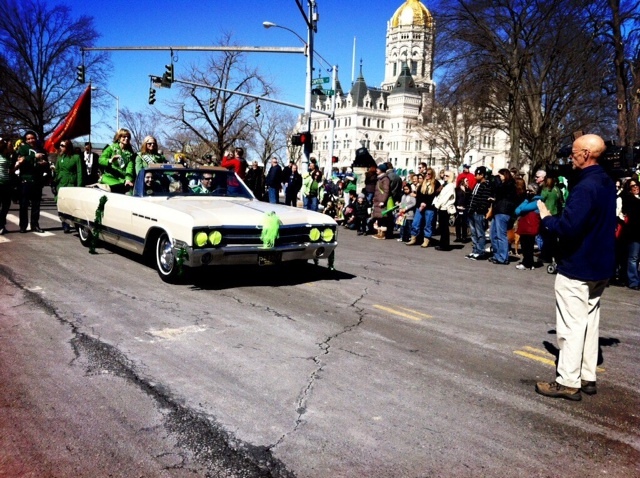 For decades, Buick created some of the most beautiful convertibles ever to hit the road. Jay Leno understands that. 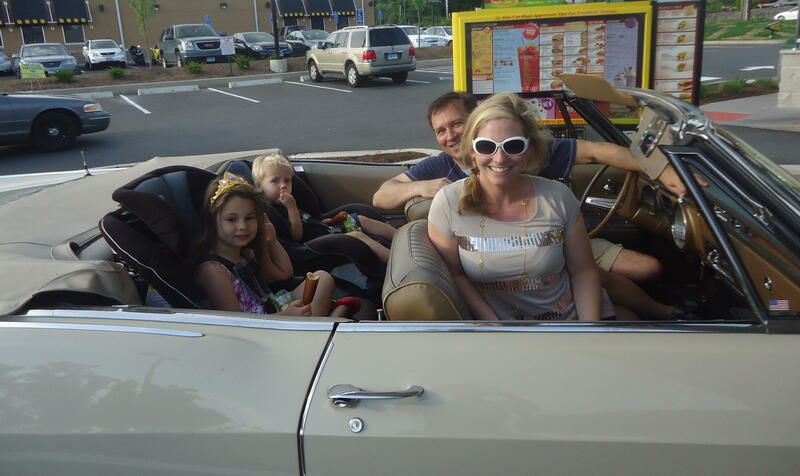 His 1957 Roadmaster is a work of art, and among my favorite Buick ragtops. 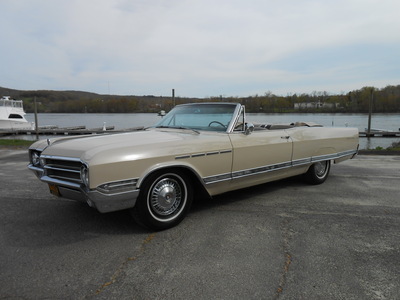 It’s been almost 40 years since Buick last offered a real convertible, the 1975 Buick LeSabre. 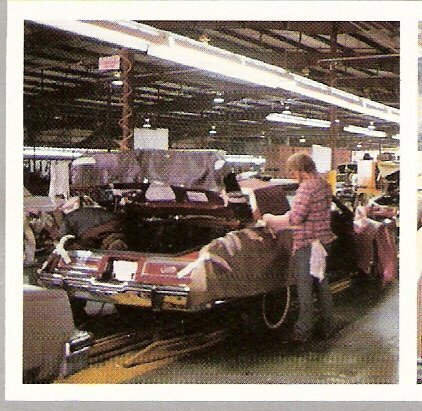 They did sell a specially made Buick Riviera convertible for a few years in the 80s, a model that started as coupe whose roof was actually cut off as the car was transformed into a ragtop. For a while it was the most expensive vehicle General Motors sold, inexplicably it only came in two colors, red and white, and as a result of those factors, it was not a hot seller. A Reatta convertible came to market in 1990 for two years, with only two seats. Let’s hope America’s oldest automaker can look back at its vast stable of convertibles and be inspired to produce a modern day beauty that just might end up in Jay Leno’s garage, and mine, too. REALLY enjoyed this!!!!! You are SUCH a car nut…and WE LOVE IT!!!! Just read your article with interest and Lovey and I would like to take your family out in our 49 roadmaster that we met you in next spring! At these prices we are delighted to be lucky enough to own one of these at a fraction of the price. Nice story! Nice story. We are happy that we own ours at a fraction of the cost.